Model homes and home tours provide the perfect opportunity to experience EPSTM first-hand. Step inside and see the many features that help EPS rated homes deliver benefits like healthy indoor air quality, durability, efficient performance and low monthly energy costs. You can even find homes that are built with solar or built solar ready to allow for a less expensive solar installation down the road. Whether you’re looking to buy or build, there’s no better way to get inspiration and a greater understanding of what makes these energy-efficient homes special. Talk to your real estate agent or builder about EPS. You can download our Smart Homebuyer Checklist to get the conversation started. And be sure to look for EPS in model homes and on home tours throughout Oregon and Southwest Washington. For Bill Hull, owner of W.H. Hull Company, building highly efficient homes is nothing new. He’s been doing it since the beginning of his career in the 1980s. But there are a few things that have come along during that time that have made his job easier, including Energy Trust’s EPS. In fact, he’s gotten so familiar with energy efficiency standards that his company built the best-scoring EPS house in Oregon in 2014, with a perfect score of zero. Hull’s first step in keeping waste in check is to encourage homeowners to consider the benefits of a smaller house. He combines that with excellent insulation, a high-performance heating system, well-placed windows, a very tight building envelope and a large solar electric system to arrive at his formula for net-zero homes. Adopting EPS was an equally straightforward concept for Hull. It offered a convenient way for him to illustrate the performance and livability of a house when working with designers and clients. “EPS is a great measure for how I’m doing,” Hull explains. Hull is enthusiastic about the potential for EPS, especially when it comes to creating a little healthy competition. He compares the future of EPS to bragging rights associated with gas mileage. Someday people will compare their home’s EPS in the same way. And of course if current trends at W.H. Hull Company continue, owners of Hull’s homes may very well have the best bragging rights in Oregon. Today, Renaissance Homes is recognized for their demonstrated commitment to green building practices and the pursuit of energy efficiency in their award-winning homes. The journey to becoming a top Leadership in Energy and Environmental Design, LEED®, builder and a major proponent of Energy Trust’s EPS began in the 1980s when “green building” meant little more than the exterior color of a structure. 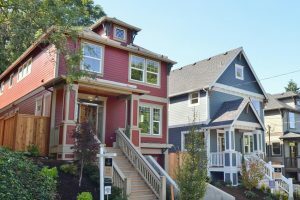 Owner Randy Sebastian started his construction career building infill homes in the Portland metro area. But within a decade, he was ready to pursue what would turn out to be a winning idea: a truly well-built home incorporates energy efficiency into its design and function. A drive to keep improving on that concept led to the company’s turning point in the late nineties. 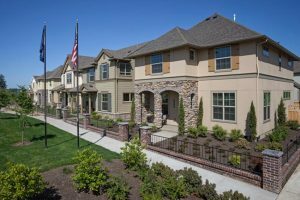 Adoption of LEED principles was one key step, and when Energy Trust introduced EPS in 2009, it was clear that the energy efficiency scoring system was another natural fit for Renaissance Homes. “The EPS is basically telling you exactly how energy efficient a house is. This isn’t a guess, it’s scientific,” Sebastian says. Jim Chapman, president of Legend Homes, has a lot of confidence in just how accurately Energy Trust’s EPS can predict the energy efficiency of a home—and how much his customers will appreciate the difference. So much, in fact, that EPS is at the foundation of Legend’s unique EarthSmart home guarantee. 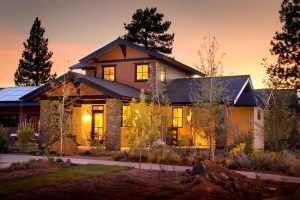 For the first three years of ownership, Legend Homes guarantees that annual energy bills won’t exceed the EPS projected combined energy bills—regardless of occupant behavior. Despite the demonstrated high performance of these homes, Chapman explains, “We have seen homeowners who turn the heat way down and wear coats, tape off supply vents, close perimeter rooms and try to just heat the core of the home. Not only is it uncomfortable but energy bills go up and damage can occur to mechanical equipment.” So instead of offering knitting lessons or tutorials on how to block nonexistent drafts from windows and doors, Chapman has another approach—encouraging homeowners to abandon unnecessary and extreme measures in pursuit of comfort and energy efficiency. Ultimately, he’s happy to “teach our clients how to comfortably live in their new home.” No mittens required. BD Ables, Inc. – Buildmaster™ is a pioneer in northeastern Oregon as the first EPS builder in the region. Beyond making a mark on the local housing industry, BD Ables is also changing the way clients understand the benefits of an energy-efficient home. EPS plays a big part in that effort.